Though mobiles simplify the mode of communication, any issue with your mobile can be troublesome for you. Sony Xperia is among the leading mobile brands, which manufactures high-quality products with advanced features. As your mobile plays an essential role in your daily life for both professional and personal purposes, it is highly important to maintain its efficiency. Despite using the latest technology to produce an advanced product, users keep facing problems with their Sony Xperia mobiles. If you think that mobile issues can be neglected till the time your device works, then you should know that it ultimately puts your device at risk. You need to repair your mobile at the earliest so that you need not face any severe damages in the near future. If you encounter critical issues while using your Sony Xperia mobile, you must avail expert guidance immediately. 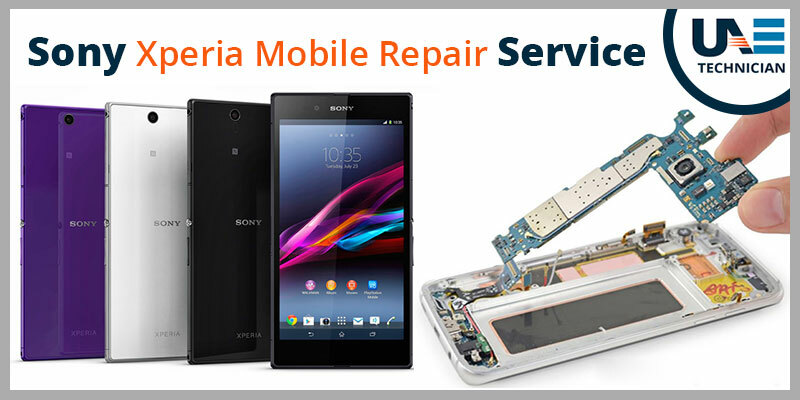 Be it the broken screen problem, charging issue or device malfunction problem; Sony Xperia Mobile Repair gets more comfortable with UAE Technicians. Unable to turn on your mobile? Mobile heating too much? Your device might need help! You might drop it by mistake and damage the mobile screen. When you use a Smartphone, you must remember if the touch-screen doesn’t work properly, you won’t be able to use your device. You might encounter charging issues with your mobile. It can occur due to the faulty charging port, damaged battery or defective charger. If you spill coffee over your phone or drop it into the water, it might create some serious troubles for you. Water damage is among the most commonly faced problems which can completely damage your device. Hence, you must not delay in availing expert guide in such case. You might face difficulty in installing or updating software on your device. Due to using outdated software, you might encounter slow performance issue with your device. If you encounter the issues mentioned above, you can immediately reach us for help. Tired of searching here and there? Couldn’t find a reliable place for repairing your mobile? You can end your search here. If you are searching for Sony Xperia Mobile Repair in Dubai, you can contact us at any hour of the day. We have a great reputation in fixing any critical mobile issue efficiently. No matter which Sony Xperia model you use, if there is any problem, our technicians will resolve it immediately. If you are looking for battery replacement, liquid damage repair, loudspeaker replacement, or camera repair, you can completely depend on our services. You can call us at our helpline number: 042053349 for any additional query. To save your time and help you in fixing things instantly, our experts are available 24*7. Our technicians diagnose your device and find out the issue which needs to be removed. Without nurturing the issues any longer, reach us now! We also provide Samsung mobile repair service.